Cover page of Bone 6: Old Man’s Cave. 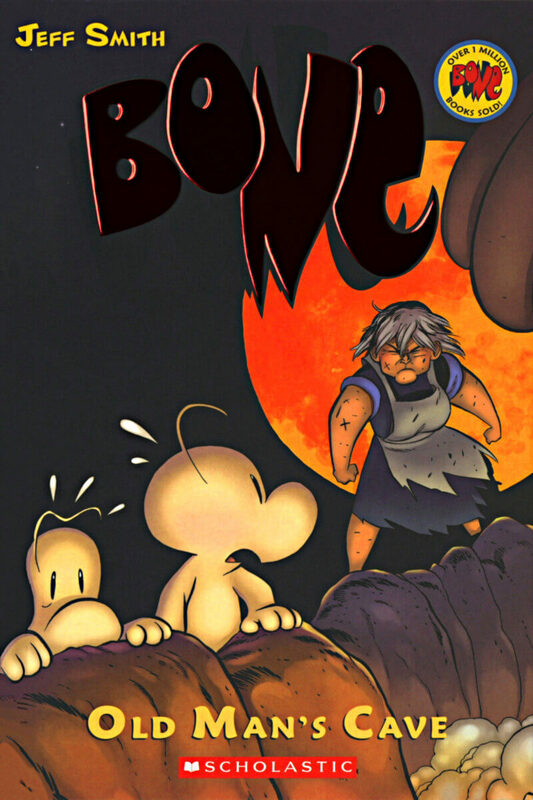 Jeff Smith’s thrilling and hilarious Bone Comic series continues with the 6th collected graphic novel edition. The situation in The Valley is getting dire. War is about to happen. Granma Ben and Lucius lead the villagers to the Old Man’s Cave to group with the Veni Yan warriors. Fone Bone, Smiley, and Thorn are on their way to the Old Man’s Cave. However, Phoney Bone does something that leads to an unexpected meeting with the enemies, The Hooded One and the Rat Creatures, and even the Lord of the Locust.